Gone are the days when getting a snack meant running to the drugstore for a chocolate bar or digging out change for the vending machine. 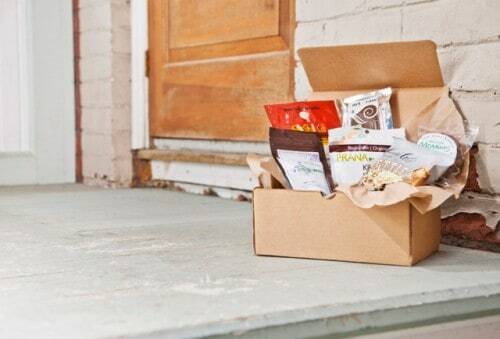 With the explosion of Canadian subscription box services, these days you can get anything delivered, from gourmet coffee to gluten-free nibbles. Companies that provide this service usually pride themselves on their careful selection and unique offerings, which means that you’re always discovering something new and delicious. The best part? You don’t have to do a thing (well, except pay). Order new treats to your front door, or get it delivered straight to the office and see the look of jealousy on your colleagues face as you chow down on gourmet snacks and sip delicious tea. Online shopping never tasted so good. Love coffee? 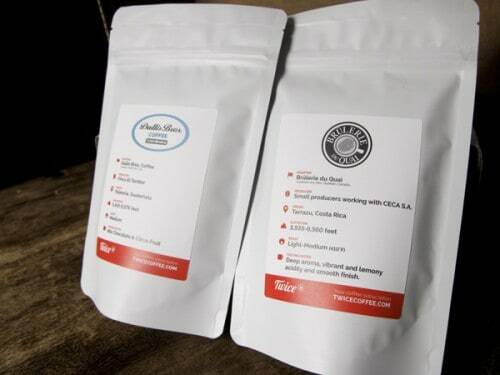 Twice searches out roasters from around the world and chooses two coffees each month from their epic selection. Past roasters have included Brulerie du Quai (Gaspesie, Quebec), Dallis Bros. Coffee (Queens, NY) and 49th Parallel (Vancouver, BC). The bags include information on exactly where the beans come from and tasting notes so you can really learn about each roaster. Need a little culinary inspiration, but don’t have time to search out unique and exciting new ingredients? With this box you’ll get 4-5 full-size hard to find products and recipe cards to get you started creating new delights in the kitchen. 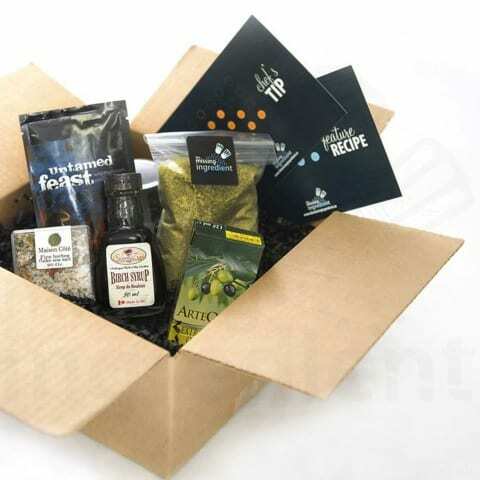 This box is the brainchild of Angie Quaale who owns Well Seasoned, a gourmet food store in Langley, BC. With so many cool ingredients at her fingertips, you just know the box is going to be full of fun surprises and past ingredients have included maple flakes, preserved lemons and birch syrup. Love tea but in a bit of a tea rut? 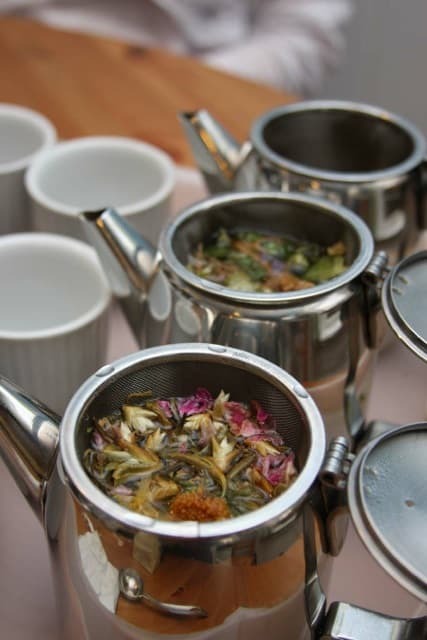 Let Jane Pettigrew, an expert tea sommelier, guide you with a monthly selection of 4 different loose-leaf teas. Each 10oz bag includes information on the tea, steeping instructions, and health benefits so you can really understand what you are drinking. Past teas have ranged from Organic Ginger Lime Rooibos to Cherry Rose Green and even the seductively entitled Organic Naked Chai. If you like your tea strong, you’ll get 35 cups out of the box which is perfect to get you through the month. Want healthier snacks but don’t feel like scouring the racks of your local health food store? Munch Better is the answer to all your grumbling-tummy troubles. Each month you’ll receive 5-8 healthy snacks picked by co-founders Amanda and Erin that may include anything from organic fruit and nuts, to vegan cookies and dark chocolate. A recipe card is included to give you ideas for creating your own healthy snacks at home. And, you can also let the boss know that they do corporate packages, which are sure to keep the whole office happy and healthy. 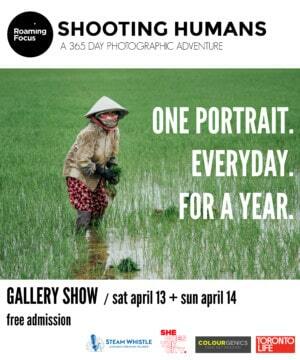 *Available only to residents of Quebec and Ontario. Have a sweet tooth but not so into the usual offerings? Dinette Nationale’s Sweet Tooth Club may be right up your alley. 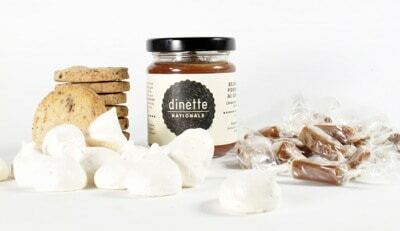 Home made treats and seasonal exclusives include jams, meringues, toffee, and nougats. Always creative and cutting edge, this Montreal based artisanal candy maker offers interesting and unique flavour combinations. How about black olive chocolate shortbread or earl grey meringues? It’s definitely intriguing and the cute packaging makes it even more delectable. shedoesthecity hey guys! you forgot our CHEF’S BOX and TASTING BOX in your roundup of top canadian food subscription boxes!